Murky day and was in and out the car so the doors were open and just noticed these aren't illuminated, was that the same on previous gen? Popped them off and not even a reflector, just a piece of red plastic 😂 No wiring within reach either. More penny pinching by VW? 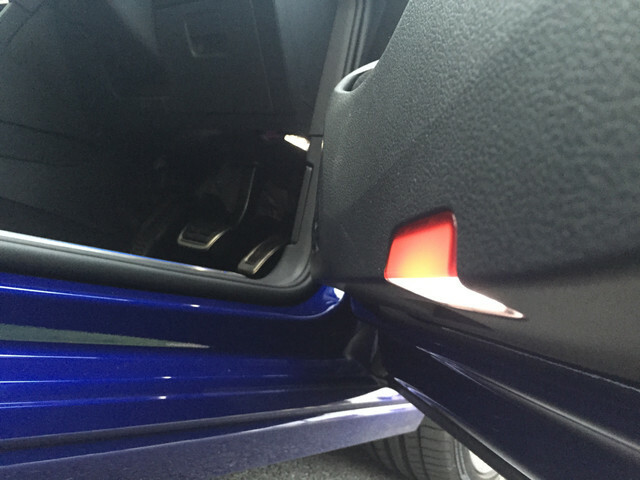 There are puddle lights in the wing mirrors but nothing in the door. Some people have retrofitted though. Popped them off and not even a reflector, just a piece of red plastic No wiring within reach either. I can recommend these for retro parts. Purchased Puddle / exit lights for the RS3 and they were OEM items with looms made up. Thanks for that, will certainly look into it. The red plastic seems totally redundant, it's not even reflective. That's nothing new, I have a friend who worked for Ford in the 70s and they would discuss if 1 washer or 2 was needed and it was well known that they heated the rubber windscreen surround to expand it, then clamped it in position to save a few centimetres of rubber (of course when you replaced the windscreen, you could do that, so there was always a gap). If you do these things a few million times, you save quite a bit. 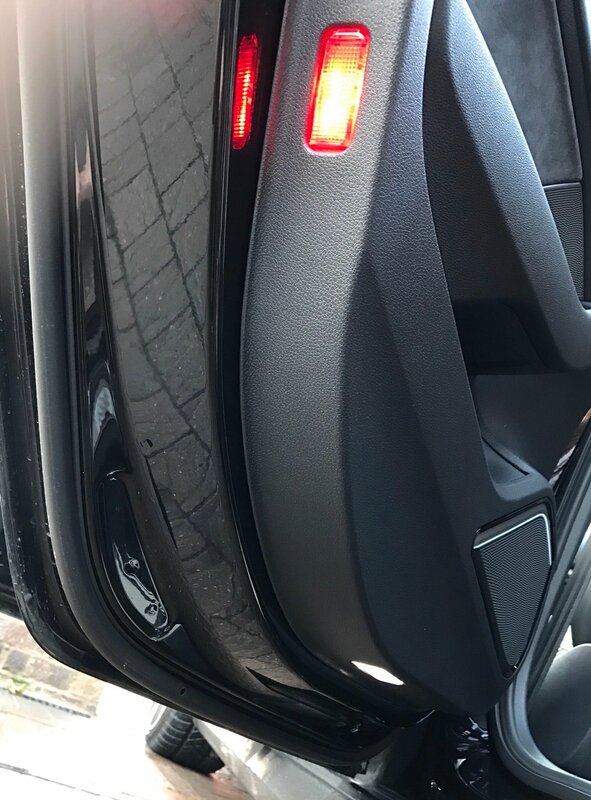 I have OEM LED door-card puddle lights fitted to my car. They're a really nice touch imo. Did you just have to put bulbs in or was there more involved? Noticed mine are not working either. Haven't took the cover off to inspect it further though. They're "not working" because there is no light there! It's just a cheap piece of red plastic, as noted by the original poster. So yes there's a fair bit more involved. You need the 2 LED light units (or get the cheaper non-LED version) and some wiring looms made up to tap into the existing looms in the door. So its door cards off, replace the cheap red plastic with the proper unit and wire it up and I think there might be some VCDS coding. Would be nice to have ‘real’ warning lights. Guess the puddles just compliment the ones in the door mirror ? Or even a decent reflector. Previous cars seem to have it, the door cards have the hole for it, there's wiring in the door already, the crappy red plastic has to made and fitted anyway. So the differential being a light unit for a quid or two vs few pence for a cover, 18 inches of wire and connectors and presumably a few seconds in the build to connect to power source. Added to mod list LoL ! Has anybody fitted anything like these? i think they are a nice little touch on the S3, but not sure about them on the golf. They seem to be proper marmite with opinions but I'd give them a go with an R logo I think. You'll get them for 6 quid on Aliexpress.